Australia chooses a side in the global currency war. Australia’s announcement that it is abandoning the U.S. dollar for trade with China is the latest broadside in the global currency war. Starting April 10, Australia and China will no longer use the U.S. dollar for trade between the two nations. 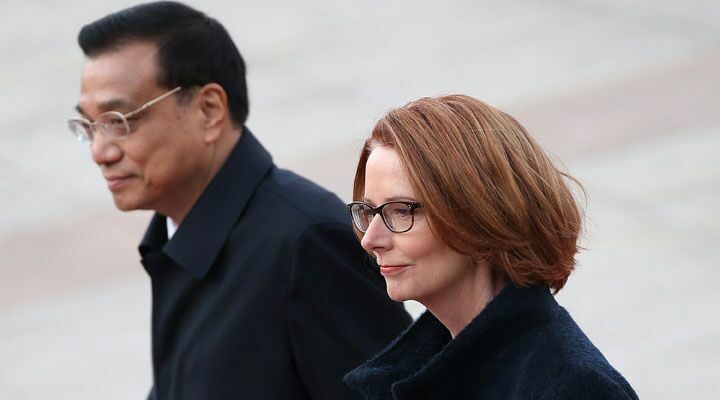 For the first time, Australian businesses will be able to conduct trade in Chinese yuan. No more need for U.S. dollar intermediation. This is a significant announcement and key development for China as it continues its campaign to internationalize the yuan and chip away at the dollar’s role as the world’s reserve currency. According to hsbc bank, more than 40 percent of small and medium-size Australian businesses that trade with China plan to offer quotes for goods and services in yuan. No longer will Chinese customers need U.S. dollars before purchasing Australian goods. For China, this is a big accomplishment as it works toward its goal of having about a third of its foreign trade settled in yuan by 2015. But for the U.S. dollar, it is more like the treatment the U.S. Eighth Army got at Chosin Reservoir in Korea. This Australia-China currency pact isn’t the only whipping the dollar has taken lately either. On March 26, China and Brazil agreed to cut out the U.S. dollar for approximately half of their trade. Some $30 billion worth of commerce per year will now be conducted in yuan and reals. Brazilian Economy Minister Guido Mantega said the trade and currency agreement would act as a buffer against any unexpected dollar turbulence in the international financial markets. Less than a week later, China announced its participation in the joint brics bank initiative. Brazil, Russia, India, China and South Africa announced the creation of a new development bank that some analysts say has the potential to rival the U.S.-dominated World Bank and European-influenced International Monetary Fund. America’s other major ally in the Pacific announced last year that it would be curtailing its use of the dollar too. In June, Japan and China began cutting out the dollar in bilateral trade. The initiative was announced as part of a broad agreement to reinforce financial ties between the world’s third- and fourth-largest economies. Similar dollar exclusion deals have been announced by Russia and China, Russia and Iran, India and Iran, and India and Japan. As more nations challenge the dollar’s position as reserve currency it will greatly impact living standards in America. Interest rates will skyrocket. The government will be forced to resort to full-scale money printing to finance its debt. Credit and loans will become unaffordable, collapsing much of America’s consumer economy. Monetary inflation will shoot through the roof destroying the value of people’s savings. And higher levels of unemployment will become a way of life. By jumping ship and swimming to China, Australia may think it will mitigate the worst of the looming dollar war. But eking out strategic partnerships with China comes with a whole set of other risks that are just as deadly.